« Slow and steady wins the race, right? 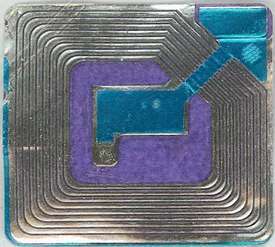 Cory Doctorow and the folks at Boing Boing always have the coolest posts, but this one is especially useful, as we all attempt to evade the “mark of the beast,” aka the dreaded RFID chip. This entry was posted on April 25, 2008 at 4:28 pm and is filed under ideas with tags technology. You can follow any responses to this entry through the RSS 2.0 feed. You can leave a response, or trackback from your own site.